The response to last week’s 101 Business Ideas article was so great, we’re going to do it again! So here we are at a point of transition here in the CNMI. While things may look dismal to some, there are pockets and pools of opportunity just waiting to be developed. Tips for spotting opportunity include looking to the laws recognizing the trends, following the leaders, listening to the talk, watching the prices and consulting your own intuitive, passion-centered crystal ball. The following are some MORE random Saipan-specific, Tinian-targeted and Rota-rooted business ideas, products and services to get you thinking. Some business opportunities are of short duration, some are seasonal, profitable until the local economy improves, global economic conditions shift, the consumer market gets saturated, the seasons change or fads pass. These ideas are meant to start the dialog and the questions necessary to explore their full potential and viability. Some may result in full-fledged business ventures, while others may result in additional products and services that existing businesses can use to focus on particular trends and improve their bottom line. As you explore each idea, here's my advice for taking advantage of trends, positioning yourself profitably, and moving with the flow of prosperity. While not necessary for starting each and every type of business, these things are applicable to ANY venture and can greatly improve your chances of success. a. It is imperative that you think globally. Think about how you can buy from or sell to markets outside of Saipan. b. It is imperative that you utilize technology. Think about how your business model can be optimized using the internet, cellular communications, and other technology. What can we grow here for export? Markets exist worldwide, including our immediate neighbors Japan, Australia and the mainland United States, and other islands. Right now, coffee is being grown here on Saipan. Shrimp is being grown here and is already being exported. Noni is being grown here and exported as well. You can join the bandwagon, or start your own. 2. IDEA: Business Plan Writing! TREND: Shift toward entrepreneurial pursuits. 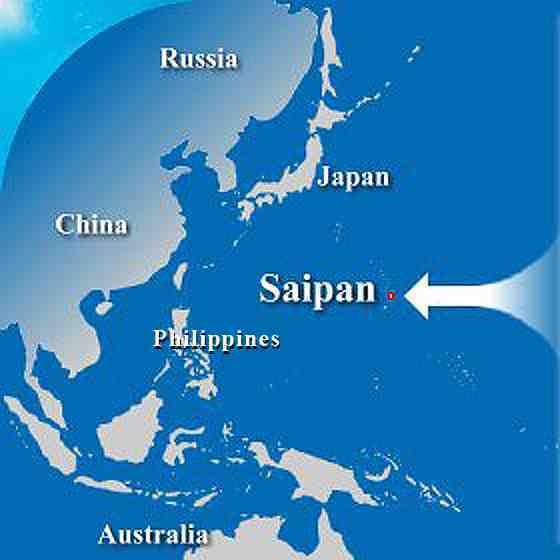 Hey, if enough people right here on Saipan follow the trend, you'll have a great client base right here. If not, there'll still be people worldwide who'll need a well-constructed business plan. Do you know some innovative ways to increase crop yields? Do you know how to identify, nurture and develop fertile soil? Do you have some sustainable, "green" non-chemical pest control solutions? Such expertise can be marketed here as well as overseas quite easily. TREND: Offshoring, Outsourcing, Changing ethnicity of workforce. You may not realize it, but by just living and working here on Saipan, you have more international experience than many mainlanders who are exposed to a very limited work pool. What are the cultural differences among Chinese, Filipinos, Koreans, Japanese and Thais that people need to know if they are growing a workforce, an organization or even a government? Think you know? Then offer it for a fee! TREND: China is growing as a consumer market. This one is wide open. As more and more Chinese embrace capitalism (whether for good or bad), there exist opportunities to sell an increasing number of products and services there. 6. IDEA: Learn a trade! Within the next few weeks, Saipan will be blessed with its very own trade school. Motivated individuals will be able learn plumbing, carpentry, bricklaying, and more. Once the training and apprenticeship is completed, however, you are not obligated to work for someone else for the rest of your life. Start your own business, or better yet, start your own trade school! What can you from the comfort of your home, on your own terms, during the hours that work best for you to generate income? 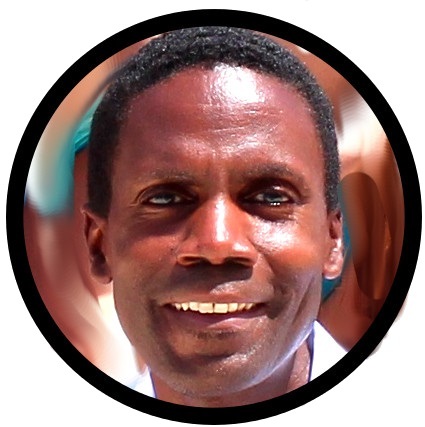 What service could you market internationally which wouldn't require any major investment? Well, if you have a computer and have access to the internet, one thing that comes to mind is being a ghostwriter. There are many people who have a lot to say in articles, books or speeches, but don't feel they have the desire, skill or time to sit and write it all. That's where you come in. If you have a talent for writing, you can offer your services to individuals, other authors, busy professionals, and just about anyone who's always wanted to write, but would rather not. Check out elance.com for one place to offer your services. 8. IDEA: Search Engine Optimization! People launch websites everyday. Few websites actually rise from the obscurity of the internet to place high in the search engine listings for a particular search. (See where my site welovesaipan.com, launched a year ago, places in a search for “saipan” on google.com) If you know the secrets to optimizing search engine ranking, you can offer the benefit of your knowledge to others. This is also one of those services that doesn't require anything but a computer, internet access, and the time and desire to get good at it! "...I have gained a considerable amount of knowledge about ecosystems, sustainable resources, environmental protection and recovery and what some professionals in the discipline now called (IK) Indigenous Knowledge or (TEK) Traditional Environmental Knowledge. I am willing to share this unique and specialized cultural knowledge (combined with my formal academic background and credentials) to Indian Tribes, Tribal Governments, Indian Organizations, Environmental Agencies and Organizations, education programs, and governmental agencies on a Consultant Fee Basis." So, as an Indigenous Knowledge Consultant, you can earn money for writing articles, conducting training workshops, research, speaking engagements and your marketing advice. And you don’t even need to be a good writer, since there’s probably a ghostwriter right here on island you can use! And, who knows, you may qualify for government or organizational grants for native-owned businesses. TALK: "There’s no place like home!" - "...watching ur vids on saipan hits me hard in da chest. now im homesick. thanks though =]"
- "Man i thank you for posting this video..i miss my island and this just makes me happy to see the sights..thanks"
- "nikko hotel && la fiesta...danggg...San Roque && As Matuis iz ma home town village...ahhh man i’m jus tearin up right now jus by watchin dis...man i miss saipan....thanks 4 the postin"
- "Interesting video for someone who hasn’t been home since 1988. If I had not seen it with my own eyes on your video and someone had told be there was an actual traffic light on Saipan, I would NEVER have believed it! My my how things change. I don’t recognize my home anymore." Sound like a business or product opportunity to you? Now what product or service could we offer these homesick Chamorros, Chamorritas, Carolinians and others who’ve been here and miss it terribly? I’m open for ideas! Our growing list of business ideas now includes: driver education school and support services, worm farm, factory repackage, vehicle retrofitting, culture-specific goods, grant writing, paradise products, virtual assistant/business support, rent and repair, re-boxing, diversity consultant, agricultural consultant, exporting, fishing supplies, ghostwriting, search-engine optimization, China optimization, images of home, indigenous culture consultant. Whether or not all these ideas are immediately viable for you in particular or here on Saipan, Tinian and Rota needs to be investigated and determined. However, they might offer a starting point for the savvy, opportunity-seeking entrepreneur to begin asking the right questions. Stay tuned for more in the 101 Business Ideas series!